Android users who beta test Apple Music have received version 2.7 of the streaming music app (for comparison, the version available to the public in the Google Play Store is currently 2.6.1). According to Android Police, the changelist includes performance improvements for images and audio playback, the usual extermination of any bugs, and most importantly, support for Android tablets. Unlike some other apps, you cannot just decide to become a beta tester for the Android version of Apple Music. Instead, you must request admittance to the group. Not to worry though, you can ask to join the others by clicking on this link. Once you are approved, you'll be able to install version 2.7, which will give you access to the version of Apple Music designed for Android flavored slates. You shouldn't be surprised that Apple is doing this. After all, its Services business, which includes subscription offerings like Apple Music, is now a major focus for the company. The second most valuable U.S. company (after Microsoft) wants to achieve $50 billion in Services revenue by 2021, up 67% from the division's top line for 2017. 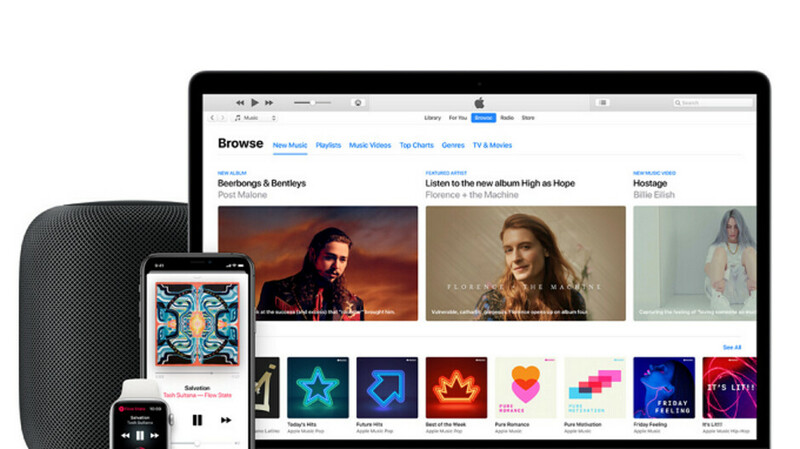 Apple Music is expected to play a large part in helping Apple's Services unit meet its revenue target on time. Just the other day, Apple and Amazon announced that Apple Music will be available to stream over Amazon Echo smart speakers starting the week of December 17th. Apple offers a free three month trial of its streaming music app, even to Android users. The public version of the app is available as a free download from the Google Play Store, and after the trial period ends, it will cost you $9.99 per month to continue your subscription. Students pay $4.99 a month, and there is a plan for families that costs $14.99 monthly for up to six lines. Will have to create yet another apple ID for another free trial to see if anything is improved. I find it hard to recommend an Apple Music subscription when you have the Google Music/YouTube Music/Whatever name Google calls it that gives you access to Play Music to listen to millions of songs and ad free YouTube videos. That alone justifies using it. Unless Apple can come up with something similar, and I highly doubt that they could, I don't see any reason to pick it over Google Play Music. Just my opinion on the matter. Ad free YouTube is something I always take for granted until I use someone else's computer, it's really changed the experience for the better. It is the reason I won't try a music streaming service other than Google Play Music, because I will still want to pay Google for ad free YouTube anyway. Why pay someone else to stream music when Google bundles it in for free? Funny thing is that if Apple is actually making a tablet version of the app, it will be better optimized for tablets than the majority of the apps on Android, even those from Google.